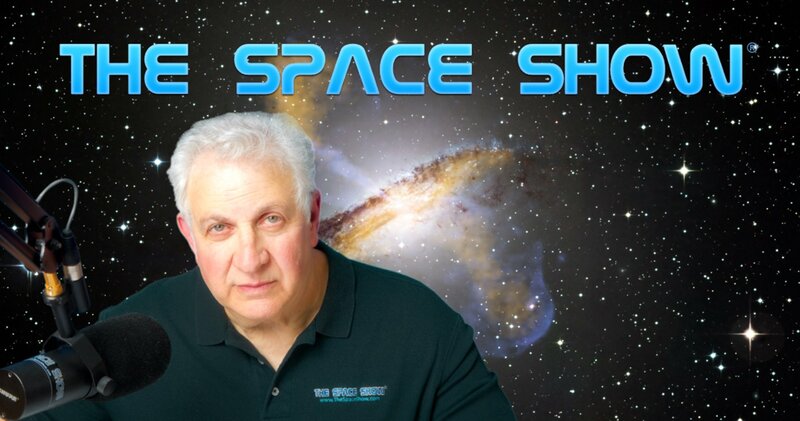 We welcomed Bob Zimmerman back to the show for this two segment 123 minute wide ranging discussion on multiple space news and policy topics. We started the discussion with my reading an email from Kim (she posted her comments on the blog for all to see) wanting to know about heavy lift demand, Falcon Heavy, Falcon 9 and the changes going on in the geo satellite market. Bob said Kim's question tied in with topics he had been writing about on his website, www.behindtheblack.com, so he was glad this was the first question. Bob referenced a very timely Space News article on the changing geo satellite market - https://spacenews.com/geo-satellite-orders-continued-to-underwhelm-in-2018. In addition, Dr. Jeff Foust wrote about this back in September 2018 so check this one out if you missed it: https://spacenews.com/amid-geo-downturn-launch-operators-look-for-new-markets. Our guest suggested that new interest was focusing in on cubesat and smallsat constellations for their added mobility, increasing capabilities and significantly lower costs. Bob had lots to say on this topic s don't miss his comments. Regarding the question of the FH, F9 and heavy lift, Bob once again had much to say on the subject. He included his future assessment of SLS and Orion into the discussion along with scheduling delays, NASA safety concerns (for the spaceflight capsules) and other related issues including the USAF wanting to mandate additional requirements which had the potential to cause even more delays. Several times during our discussion Bob suggested SpaceX turned down AF money because they did not want the additional AF requirements while he suggested Blue Origin took the AF money and then announced New Glenn delays. Bob was attempting to make a connect the dots analysis but said it was just a hunch. Bob talked about the changing geo satellite demand and launch demand for the bigger rockets, then he talked about the emerging small launcher industry, specifically Vector Launch. Marshall called to continue the discussion by focusing on the BFR and Hopper, then he claimed the F( was a paradigm shift. Bob had much to say about the BFR, the Hopper, but disagreed that the F9 was a paradigm shift. Listen to what Bob suggested would be the paradigm shift if the launch and recovery worked out. Let us know what you think by posting on the blog about this. Marshall and Bob continued having a discussion about reusable costs and SpaceX innovation including for the big rocket and its plans. Bob talked about his website, www.behindtheblack.com given he said this was his birthday month and his birthday month was his fundraising month for his website. He mentioned the purpose, features and type of content on the website plus the entrainment from the Evening Pause feature. Our next caller was Gary from Kansas City. He wanted Bob to talk about his recent tour of Vector Rocket Company in Tucson. Bob talked about meeting Vector CEO Jim Cantrell (he has been a guest on The Space Show) plus he told us about his tour and the growth and changes that have happened with the company since his tour, especially with employees and launch plans. Bob provided us with the Vector launch schedule for 2019, plus he briefly talked about small launcher competition from Rocket Lab and Virgin Orbit with LauncherOne. Before changing the subject and going to break, Bob said that Vector was planning to launch from Alaska, then he explained why. He closed off his comments by again bringing up SLS-Orion. As you will hear, Bob continues to believe these latter projects are too costly and will eventually be cancelled. We started the second segment with a discussion of commercial crew which Bob said had no good news at this time. As you will hear, Bob was both annoyed and frustrated with what has happened to commercial crew with delays and as he says, so-called explanations for the delays which he sees as not necessary. This included his perspective on NASA safety panel statements. Bob talked about commercial crew and the issues for most of the second segment do don't miss all of what he said. Regardless if you concur or disagree with Bob on his commercial crew, NASA/AF, and safety panel comments, let us know your thoughts by posting them on the blog for this show. Another topic discussed in more detail during this segment focused on more concerning the INF treaty and why he thought it necessary to hold Russia accountable for their treaty violations (as claimed by many), even if it meant withdrawing from the treaty. Bob did express concerns for a possible resumption of a Cold War like nuclear arms race. He also talked about weapons in space, the military usage of space, the Outer Space Treaty and the lack of property rights. We also talked about the U.S. creating a separate military force to be known as the Space Force. Bob had much to say on this and the needed reorganization of space activities in the military. He thought reorganization was what was needed, not a separate military force. Let us know what you think by posting comments on the blog. As the show was drawing to a close, we talked about our going back to the Moon with humans. Bob thought that we would get back to the lunar surface but it would be with the privates, not the government. This then opened up for Bob to once again tell us that he does not want a government space program along with the reasons for his opinion. Don't miss his comments. Bob also got a questions about the lunar Gateway which he trashed bigtime. We briefly talked about the National Space Council, the new bipartisan congress, and space policy including the Moon, SLS, and Orion. Then Bob got a surprise question from Helen wanting to know if he had a normal life and watched the Superbowl. I won't give away Bob's answer so do listen. Bob then talked about his interest in both hiking and caving in Arizona. Our last caller that was with us to the end of the program was Dr. Charles Lurio. Charles and Bob had a love fest together, talking about Musk changing the Starship design, engineering risks and rewards, stainless steel, cooling, and other things that Musk was undertaking. They talked about the need for competition. Bob suggested the NASA way destroyed competition. They both agreed that the old Soviet Union Design Bureaus were actually competitive. Don't miss what they both had to say regarding competition. Both Charles and Bob talked again about the need to not have a government space program and what to do instead. Please post your comments/questions on TSS blog for this show. You can reach our callers or Bob through me plus Bob can be reached through his website.